'Representations of Renaissance monarchy is a welcome contribution to French Renaissance and European court studies. Mansfield's writing is engaging and lucid, making the book a readily accessible resource for students of all levels in the disciplines of both history and art history, particularly those studying the French court. The book is impressively researched and the extensive footnotes and bibliography will be a valuable tool for students and specialists alike.' Lisa Anderson, The Sixteenth Century Journal, Vol. XLIX, No. 2 (Summer 2018) -- . Representations of Renaissance monarchy analyses the portraits and personal imagery of Francis I, one of the most frequently portrayed rulers of sixteenth-century Europe. The distinctive likeness of the Valois king was widely disseminated and perceived by his French subjects, and Tudor and Habsburg rivals abroad. Complementing studies on the representation of Henry VIII, this book makes a dynamic contribution to scholarship on the enterprise of royal image-making in early-modern Europe. The discussion not only highlights the inventiveness of the visual arts in Renaissance France but also alludes to the enduring politics of physical appearance and seductive power of the face and body in modern visual culture. 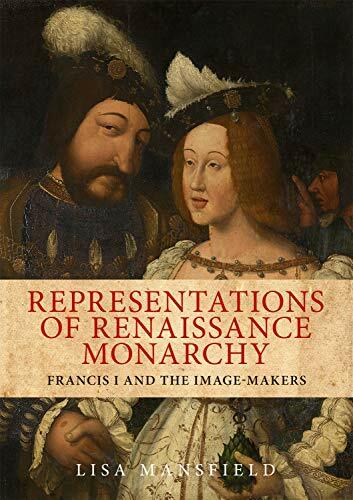 Coinciding with the five hundredth anniversary of Francis I's accession, this book will appeal to scholars and students of medieval and Renaissance art, the history of portraiture or anyone interested in images of monarchy and the history of France. -- .